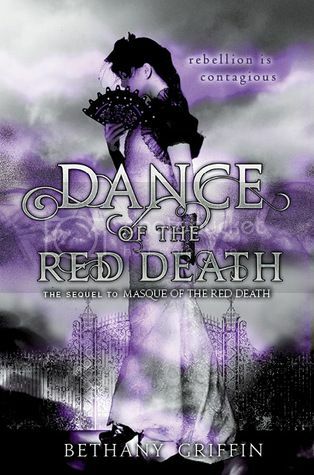 Dance of the Red Death picks up right where Masque of the Red Death leaves off. Araby and crew have just escaped from the chaos and horror that have occurred in the city. 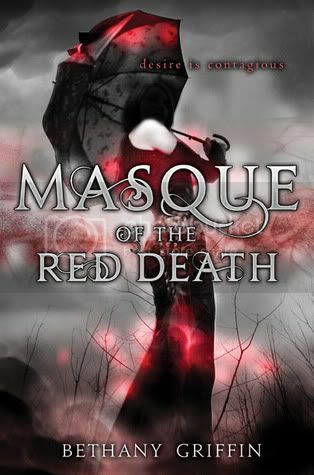 After getting their bearings, they decide that it’s up to them to track down a cure for the terrible Red Death, and to take the city back from the evil Prince Prospero and Reverend Malcontent. It was nice to see that Araby was a completely different person in this novel. No longer was she the girl that hung back and followed everyone else. No, this time around she was the leader who took matters into her own hands. Even though Araby has been through hell, I am proud of her for standing up for herself and taking matters into her own hands. After the events that happened between Will and Araby in the last book, I wasn’t sure how I was going to feel about Will this time around. He did manage to surprise me into forgiving him. Elliott is still as confusing and mysterious as ever, and he had me guessing up to the end on what was really going on inside that head of his. April, Araby’s best friend, has to be my most favorite character in the series. Even through all of the horror, she tried to keep everything as upbeat as she could. I could go on and on about the characters in the series, but you will just have to read it for yourself to find out more! What really sets this series apart for me is the uniqueness of the storyline. It’s not often I read a book that has such a dark story—from the world-building all the way to the characters. I found that I enjoyed it more than I expected to, with both novels. This second book seemed to move a bit slower than the first, but it still held my attention. The ending with a little bit anti-climatic for me, I expected more to happen, but I can see why the author went the route that she took. I do feel like I was left hanging about a few things, and I still have questions that I would like to see answered about some things that seemed to be written off as afterthoughts. I was also surprised to see that this is only a 2 book series, as I expected this to be a trilogy. Nothing wrong with that at all, it just caught me by surprise. Also, I must give kudos to whoever designed the covers for these novels. They are absolutely gorgeous! Overall, while I had some issues with the book, I still thought that it was a good ending to the series. If you really like the dark novels with even darker characters, this is the book for you! I really wasn't the biggest fan of the first book -- too much head-hopping for me, especially into characters I didn't like. I really wanted the story to focus on Araby and Will. Oh, well. But, despite some issues, it sounds like it turns out well! Dark novels with dark characters does sound intriguing. I'll have to check out the first novel! I recently read MASQUE so I want to try to read DANCE soon, either from Ew/NG or my library hopefully. Araby got on my last nerve in the first one so thank GOODNESS she changes some in the sequel! I wanted to feed her anti-depressants, and then shake her. Sheesh. Oops, rant over. Anyway glad despite your issues you did like it, Christy! Thanks for sharing such a nice information. i will also sharing this information with my friends.